July was a reading month of the likes I have never had any will probably never have again.. I finished 18 books this month! I have no idea how this happened. I hope everyone is having a wonderful Friday the 13th! I was born on a Friday the 13th so they do not bother me. Did anyone else participate in Tome Topple this round? If so how did you do? I finished 10 books this month! This number is greatly due to audio books. This was just a stressful month as a whole. I finished 12 books this month! This just blows my mind with everything that is going on, end of school year wrap-up, life in general and then having trouble finishing books, I really didn’t expect to sit down and count up this many. How was your reading the month of May? I was really surprised when I sat down to do this post and saw that I was able to finish a total of 11 books this month. 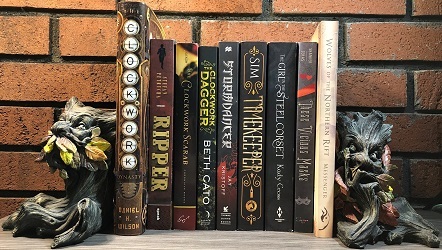 Books that I finished in April 2018. March was a good reading month for me better than normal. I finished 10 books this month and I have 1 book from my TBR that is carrying over to April 2018. Books that I finished in March 2018.